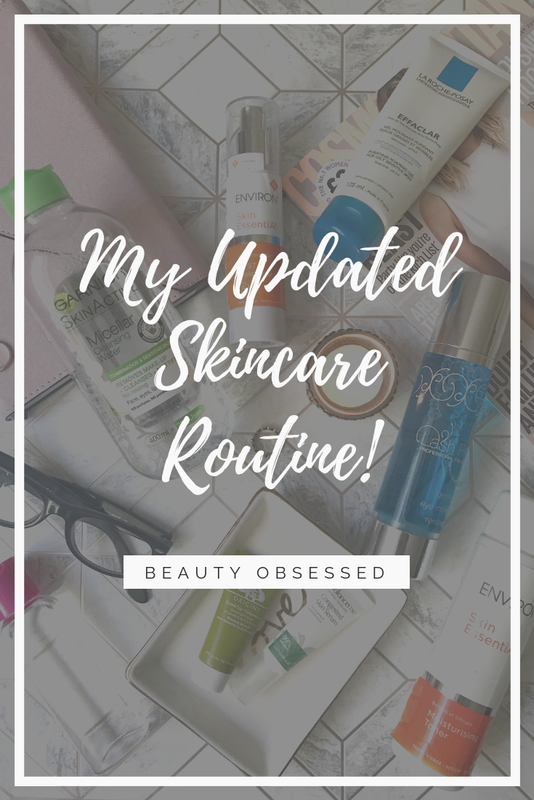 A good few months ago I made my first Skincare routine and throughout my time with this blog, I have switched up my products a bit and added a few new gems that I thought I would share with you. As you can see my routine is a little bit bigger than before because I just want to keep adding more and more as there are so many amazing brands that want to try! For my daytime routine, I don't usually use too many products because its usually 7.30 in the morning and I'm always in a rush! The first product I use for my morning makeup routine is my cleanser, I don't usually pre-cleanse as I don't need to remove any makeup. The cleanser I usually go for in the morning is my Garnier Micellar Cleansing Water as it is such a quick and easy product to use, just pop some on a cotton pad swipe over your face and you're done! I really like this product as it really removes anything left on my face and makes a clean canvas for my makeup of the day. I then tend to tone my skin afterwards using my Environ Botanical Moisturising Toner, I think I've explained about this toner before but I'll go over it a little here, with Environ their cleanser don't strip the skin of their natural ph which a lot of cleaners do which means they need a toner to rebalance the ph in your skin so this toner is more of a treatment lotion which helps to add extra moisture to the skin. I use this toner just to make sure that my skin is 100% clean before applying my moisturiser. For my moisturiser I have been using Environs AVST 2, I was previously on a higher level but stopped using it for a while so had to start from the beginning because of its step-up programme. What I love about this moisturiser is that it contains vitamin A and helps to normalise and improve the skin. This moisturiser also supports healthy looking skin. Now, this is where the fun begins to make sure that my skin is completely clean before bad I add a few more products into my routine. The first thing I do in my night routine is remove my eye makeup if you follow me on social media (if you don't you should!) you will know that I got eyelash extensions a few weeks ago for my birthday. With lash extensions, you have to be careful with what eye makeup removers that you use, the remover has to be oil free because the oil can loosen the glue for the extensions. 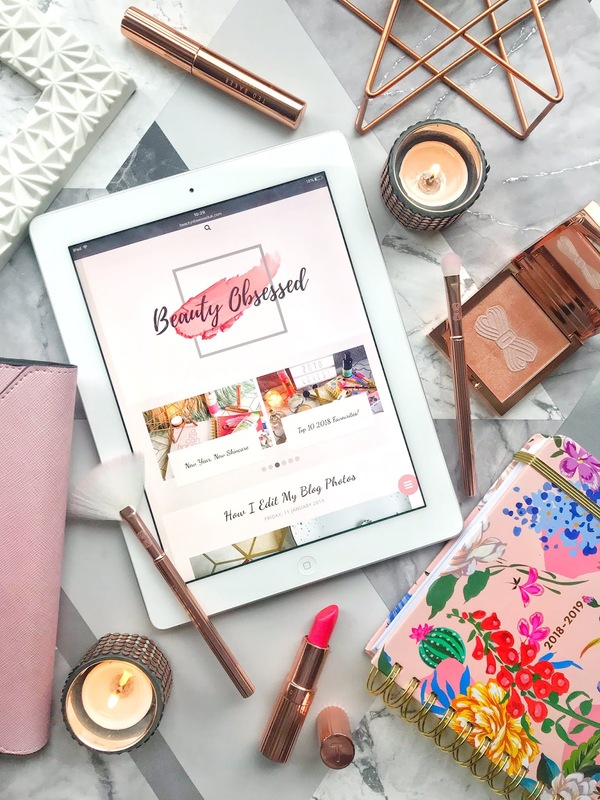 With this in mind for my birthday I was gifted the Lash Perfect Gentle Makeup Remover which can be used on fake lashes, I use this to remove my brow makeup and any eye makeup that I have used that day. It works really easily and quickly without too much rubbing which is key to not removing any of the lashes. As I would have been wearing makeup all day I usually do a double before bed to make sure that all of my makeup is removed, for my first cleanse I use the Environ Pre Cleansing Oil. I like to use an oil-based cleanser first ask it cuts through makeup and sebum (oil) so easily and gently. This cleanser also assists in the moisturisation to the skin. For my second cleanse I have gone back to an old favourite of mine which is the La Roche Posay Effaclar Purifying Foaming Gel, I use this gel because its perfect for anyone with problematic skin and helps reduce the appearance of spots and blackheads. This cleanser makes my skin feel extra clean before toning. For my toner, I use the same product as I do in the morning which is the Environ Moisturising Toner, I use this in the evening just to make sure that all of my makeup has been completely removed and my skin is 100% clean and moisturised. Two nights a week I usually do a face mask or apply an overnight mask to help with my skin. I usually change up my masks a lot of time because I always like to try something new. The masks that I've been using at the moment is the Origins Drink Up Intensive Mask, this mask is an overnight mask, I apply a thin layer of this mask before bed and in this morning my skin feels amazingly soft and hydrated. 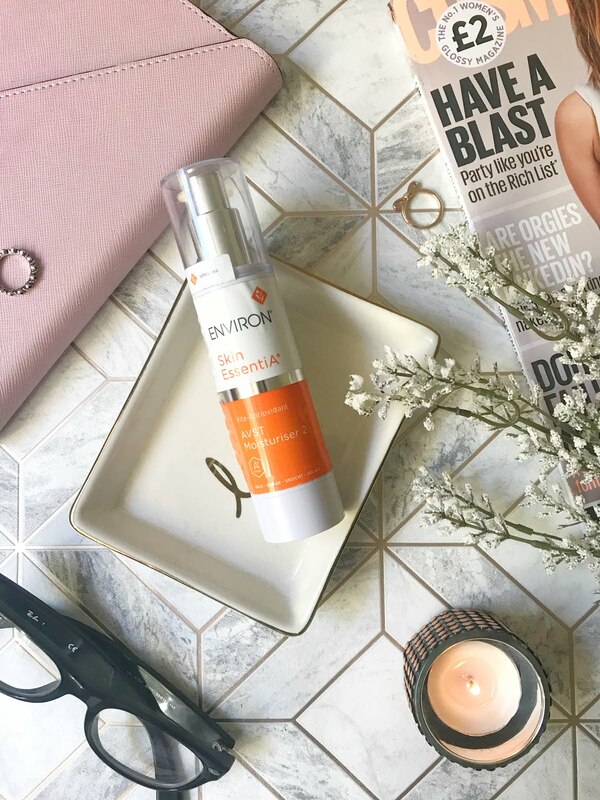 The last part of my night routine is my moisturiser and like in my daytime routine I also use my Environ AVST 2 moisturiser. I use this to keep my skin extra soft and it also helps with my problematic skin. For a little extra treatment If I have a spot, I use an added spot treatment to help reduce and remove them, for this, I use the Balance Me Congested Skin Serum which I got In one of my Birchboxes. This serum has really helped reduce the redness of my spots but especially if I catch them on time. Skincare has always been a favourite of mine and I like to switch it up pretty often and try new things. What's in your skincare routine? Ooh I love having a nosey at other peoples skincare routine! I've not tried any of these things but really want to try the Origins because I've heard so many amazing things! It's interesting that you use micellar water because I didn't like it when I used it a while ago but I didn't use it in the morning so I might give it another go! I love Micellar water SO much! It's so useful and versatile. I've recently got a new Superdrug range of skincare which is cruelty-free which is fab! 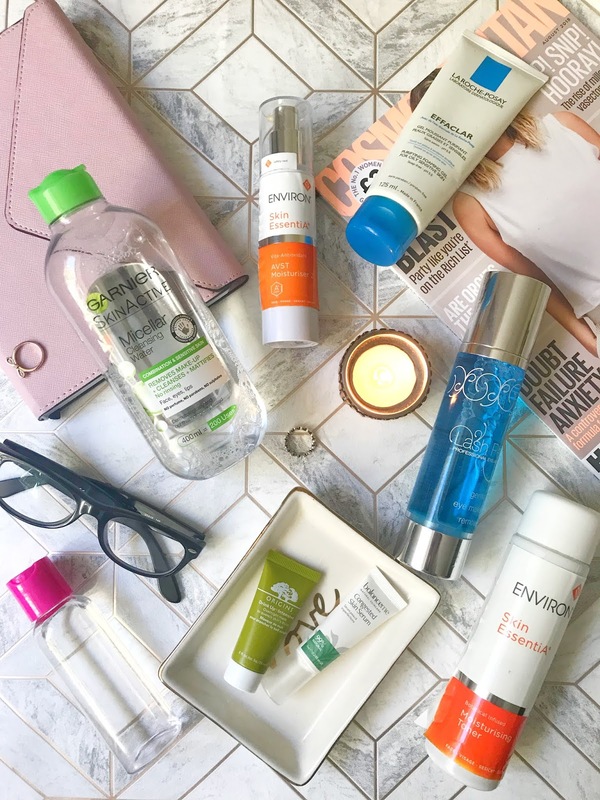 My skincare routine isnt too 'deep' but honestly you cannot go wrong with the micellar water! Wow you use so many products! I really should try out new skincare things but my skin is so sensitive most things cause me to breakout so it's not usually worth it! That eye makeup remover sounds like a dream though it's always hard to get eyeshadow and mascara off! This post makes me feel like I really got to get into a skincare routine, haha. I will admit I'm not good with these, but I believe they're so crucial and important! Thanks for sharing this! This is such a great post, I always love reading people's skincare routines. Sometimes you can find some new and exciting products! My skincare routine is not this big but mine definitely works for me, we're all different and it's good to find the balance. Thank-youu for sharing. Love that you have all of the bases covered with your skincare routine. Toners make a big difference. I always love putting on a mask at the end of the day to clean out any potentially clogged pores. Thanks for sharing your routine! Some of these sound like really great products, I definitely need to look into the gentle eye makeup remover! Thanks for sharing.